HomeCompany NewsBluebelt Launches the OPET Deposit Campaign and OPET Trading Contest after Successful Listing! 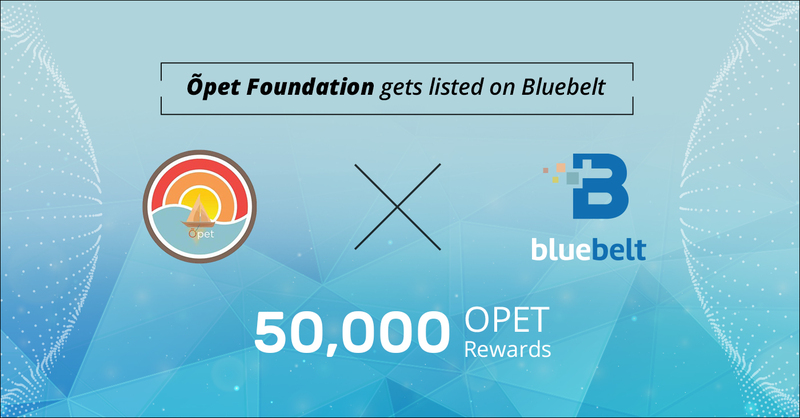 We are happy to announce that OPET (Õpet Foundation), a college data collection platform token, is now officially listed on Bluebelt Exchange and available for trading. Our supported OPET trading pairs include OPET/Fiat, OPET/BTC, and OPET/ETH. As part of our introductory campaign, Bluebelt will run an OPET deposit bonus campaign and trading contest for all OPET token holders.